Marbury: is it ok to give up on a book without finishing it? is it ok to give up on a book without finishing it? As more and more books are purchased and consumed digitally, the ratio of books bought to books read is probably going to change. On the whole I see the digital age as being good for book sales, because the purchasing mechanism will be so effortless. Like the article you've just read? Just one click at the bottom of it and the author's new book is on your iPad. Once it's on your iPad, or Kindle or whatever, you'll read the first few thousand words, get distracted by another book, or a game, or the infinite diversions of the web, and neglect to return to it. So the net result is likely to be more books bought, fewer books read. It's the whole 'whose fault is it' I find difficult. I bought a book the other week on a subject I considered myself fairly well-versed in. I found the writing completely incomprehensive- and worse, made the subject boring! So I tried and tried to plough on, thinking- am I just dimmer than I thought? But after 4/5 chapters I decided, maybe I am dim - but maybe this guy just cannot write. Digital age is good for book sales though. My current book is by a writer I never would have known about if I hadn't read his LA Times column on my Kindle weekly. Terrific, yay, thanks for the allowance not to finish books and yet still qualify as intellectual and all that; but enough about books, yadda yadda yadda -- what does Marbury think about this whole WikiLeaks/Cablegate/Julian Assange/is-he-or-isn't he-being-set-up imbroglio?? 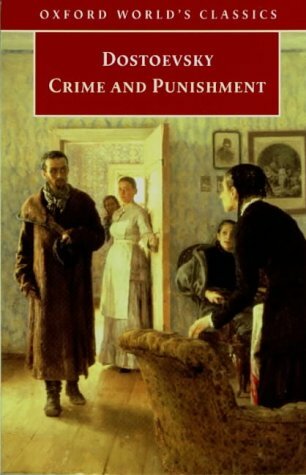 The Crime was buying it, the Punishment reading it.